BendixKing Distance Measuring Equipment. 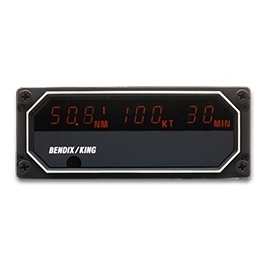 The top-quality BendixKing KDI 572 DME Indicator master display controls and displays information from a remote DME transmitter/receiver. This model displays distance, groundspeed, and time-to-station all at the same time. 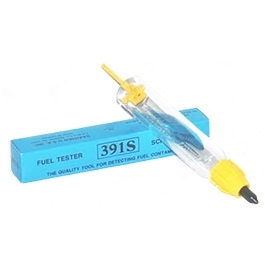 Slant-range distance is computed digitally and displayed up to the maximum range of 399 nautical miles. The station lock-on is typically achieved within three seconds, with accurate ground speed and time to station computations becoming available within one minute. The KDI 572's single control switch makes it easy to operate the entire DME system as well as DME channeling. It has settings for ON/OFF, NAV 1, NAV 2, and DME HOLD. DME HOLD allows the DME to stay on the current frequency, while the navigational receiver is re-tuned to another.